For if there had been nothing wrong with that first covenant, no place would have been sought for another. But God found fault with the people and said: “The time is coming, declares the Lord, when I will make a new covenant with the house of Israel and with the house of Judah. It will not be like the covenant I made with their forefathers when I took them by the hand to lead them out of Egypt, because they did not remain faithful to my covenant, and I turned away from them, declares the Lord. This is the covenant I will make with the house of Israel after that time, declares the Lord. I will put my laws in their minds and write them on their hearts. I will be their God, and they will be my people. No longer will a man teach his neighbor, or a man his brother, saying, ‘Know the Lord,’ because they will all know me, from the least of them to the greatest. For I will forgive their wickedness and will remember their sins no more.” By calling this covenant “new,” he has made the first one obsolete; and what is obsolete and aging will soon disappear. Ceremonial laws regarding religious rituals like circumcision, priests, the tabernacle, sacrifices, cleansing, and so forth. Civil laws forbidding the religious practices of the Canaanites and guiding the Jews in relating to each other. For example, what should a person do if his ox killed the ox of another person? Moral laws such as the Ten Commandments, which teach what is always right or wrong. 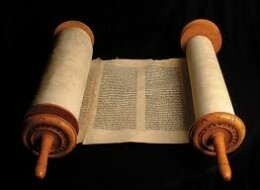 The Ceremonial Laws were the largest group of Old Testament Laws. They told the Israelites what God expected them to do with regard to worship. What size must the tabernacle be? What type of furniture should be in it? Which colors should be used? How should the priests dress? When should they wash? What sacrifices were for each sin or occasion? The ceremonial laws answer all these questions. These laws applied only to citizens of Israel before Christ died for all. None of the ceremonial laws are renewed in the New Testament. Today, the Old Testament temple, sacrifices, and priesthood are replaced. Jesus came to be the Lamb of God (John 1:29)). He sacrificed himself for our sins once for all so that there is no need to sacrifice animals (Hebrews 10:10)). Jesus is our High Priest in heaven, so we do not need a priest on earth for anything other than spiritual mentoring. Believers are now the temples that God lives in. The Old Testament ceremonial laws are not renewed in the New Testament. And Christians are not under any laws that are not repeated in the New Testament. Jesus fulfilled all of the ceremonial laws and set them aside. The Civil Laws told the Israelites how to live with their neighbors: both pagans and Jews. The civil laws were temporary, for those under the Law of Moses. God gave some civil laws to keep the Israelites separate from pagan neighbors in Canaan. Also, these laws include restrictions on farming, sewing, and eating. Often these are the laws that seem the strangest to modern Christians. For example, why did God forbid the Israelites to do any of the following? He also gave the Civil Laws to keep peace and justice in a time and land where there were no jails, police, or prisons. To avoid vengeance by the injured persons family, a judge might order a tooth for a tooth, that is, a similar injury on the guilty person. Only a judge had this right. The purpose for a judgment of an eye for an eye or tooth for a tooth was to prevent personal vengeance and continuation of the fight (Deuteronomy 19:21). It was also intended to prevent injustice, from taking a life for a tooth, like Lamech did (Genesis 4:23). Civil laws taught that the penalty should match the crime, not exceed it. Under the New Testament God does not require that we go by the Old Testament civil laws. Christians do not need to observe the temporary laws. But we should seek to find the principle behind a law. The Moral Laws and ethics is about what is right and wrong. These laws contained many ethical principles such as, “You shall not steal” (Exodus 20:15). Moral laws and principles of the Old Testament have not changed; they are renewed in the New Testament. For example, the Ten Commandments are moral laws. All of these commands are repeated in the New Testament, except for keeping the letter of the law on the Sabbath. God still expects us to honor the spirit of the Sabbath law, that is, to set aside one day a week for rest. Jesus did not come to abolish the ethical principles of the Law, but to fulfill them. That is, He came to complete what the Law only started. The Law gave a little light, showing us that things like murder, adultery, and divorce are wrong. Jesus gave more light, teaching us that the roots of these sins are wrong. So Jesus fulfilled or completed what the Law taught. He emphasized the full, deeper meaning of God’s Law. The Savior taught us that God looks beyond our actions, and searches our hearts. God’s moral laws are eternal and universal, timeless and true for all people. Moral laws are the basis of all the other laws. They are just as valid for us today as they were for the ancient Jews. Moral laws are often stated as a direct command, like “You shall” or “You shall not.” The interpreter must remember that these laws are double-sided. Some moral laws guide us away from one thing and toward another. If a moral law forbids something bad, the other side of the truth is that it requires something good. The command: “You shall not steal” guides us away from stealing and toward working for what we need. The command “Do not commit adultery” guides us away from adultery and toward being faithful in marriage. As noted earlier, moral laws of the Old Testament are repeated in some form in the New Testament. So the answer to the question “Are we bound to Old Testament Law?” is that Ceremonial, and Civil Laws no longer apply unless they are repeated in the New Testament. However the spirit of the law should still be observed. The moral and ethical laws are repeated in the New Testament and should be observed! We do not observe the law for our salvation for our salvation comes by the grace of God through faith in Jesus Christ, but we obey the laws because we are saved as the fruit of righteousness because of our salvation! So when trying to determine what applies consider the law your are looking at……is it Ceremonial, Civil, or Moral? Then apply the principals listed above! If your reading this and you are not sure that if you died to day whether or not you are saved, God is ready to remove all the doubt and bring you into a relationship with him by his grace (there is nothing you could ever do to earn this gift. It is a gift of God). All you have to do is ask Jesus to forgive you of your sin. Tell him that you want a relationship with him and ask him to come into your heart and life and make you new by washing you clean of your sin with his precious blood that he shed on the cross for you! If you pray this from your heart you will be saved. God tells us in his word: “If you declare with your mouth, “Jesus is Lord,” and believe in your heart that God raised him from the dead, you will be saved. 10 For it is with your heart that you believe and are justified, and it is with your mouth that you profess your faith and are saved. Romans 10:9-10. Now you need to find a Bible believing church and get connected with a body of believers who can help you grow in your faith! Read your Bible daily, pray daily, and you will see the work of God in your life!